Before it turns into a thing, I just want to clarify that I am just one woman with autism. Everything I write, I write from my perspective. I am neither a researcher nor an autism expert. The only expertise I have is my own experience. I can go online and talk about my experience and hear lots of 'me too's, and that lets me know that my experiences are shared by other autistics. But that doesn't make me any more knowledgeable than anyone else out there. I just wanted to clarify this because although I did start Autistic Wiki, I didn't do it because I felt I knew more than anyone else. Nor do I feel I am the best person to be presenting all of the information. I'm not an expert on all things autism any more than the guy who built the local library knows all the information contained therein. I just saw a need for an autistic safe space that serves as an information repository, and I am attempting to fill it. 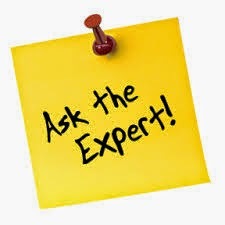 In my opinion, there are a lot of expert advocates in the community who are writing blog, tweeting and using Facebook. I often link to their content and share their stories. I hope in time those people will start contributing to the wiki so we have a rich source of good information we can point to when the public asks, "What is...", "Why do you...", "How does...", Where can I...", etc.